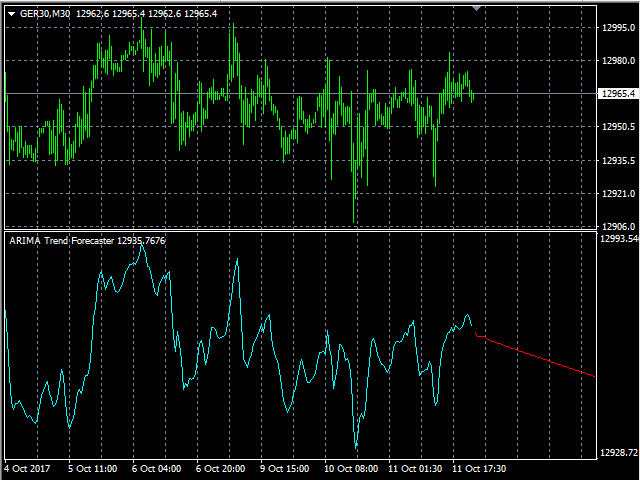 The ARIMA Trend Forecaster indicator is designed for analyzing and forecasting the trend component of a financial instrument based on the integrated ARIMA autoregressive model. The ARIMA methodology aims at identifying the presence of unit roots and the order of time series integration. In financial markets, autoregressive models are used for working with price time series to predict future price points. 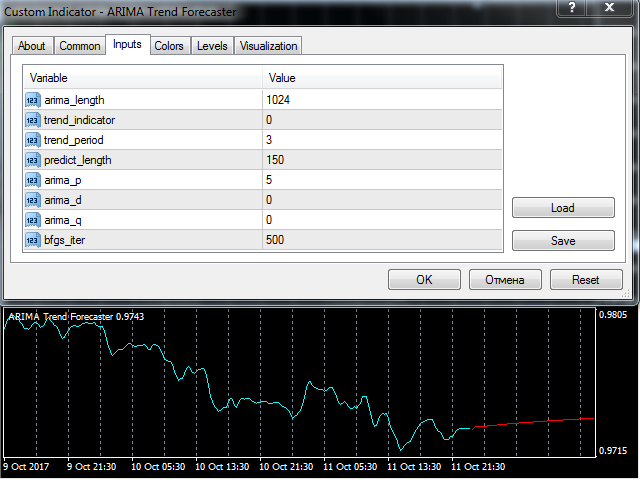 The ARIMA Trend Forecaster indicator using all the advantages of the ARIMA method allows to accurately forecast a trend component behavior and to see potential market entry points. 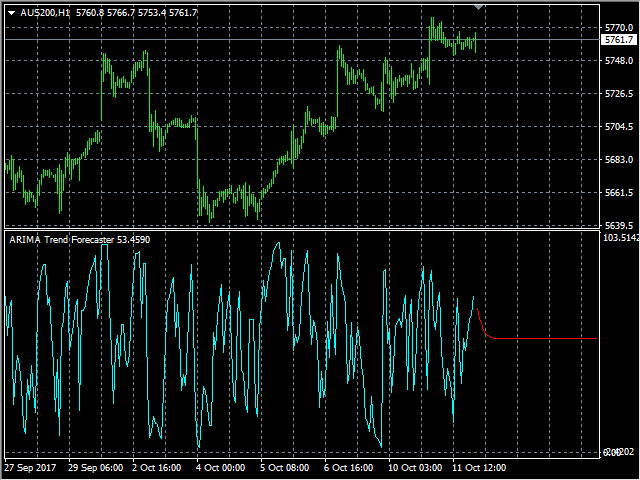 The indicator can be used either separately or in combination with other trading indicators or systems to improve the overall results of trading. bfgs_iter - the number of iterations in root optimization by the BFGS method. Added parameter start_bar - bar to calculate the forecast for. 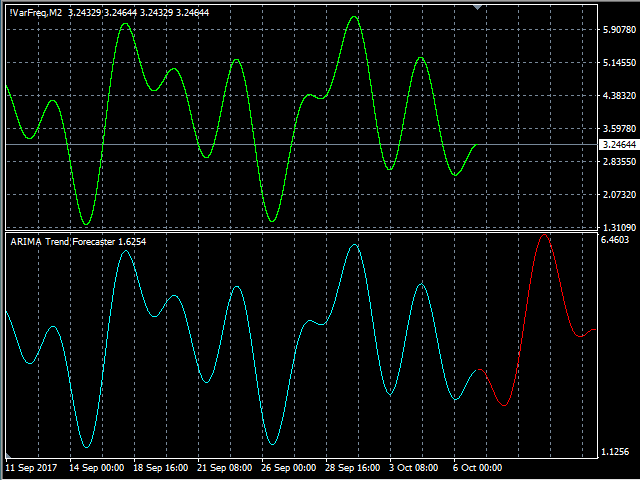 This parameter allows testing the indicator on history data and finding the optimal parameters. 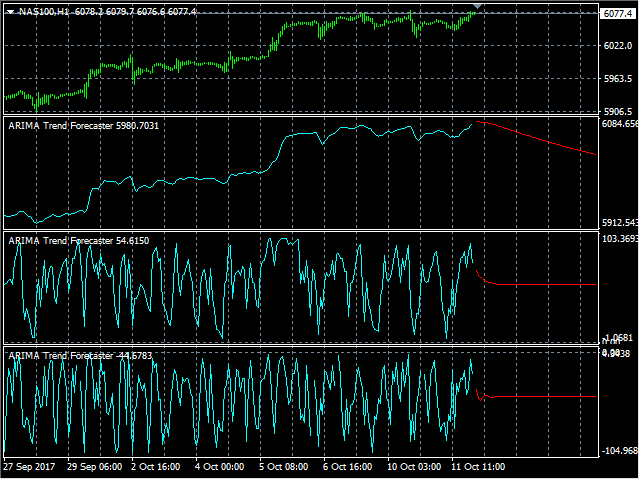 Fixed the indicator re-calculation when updating the chart.